This Saturday night, May 28th, the UFC is coming home to the MGM Grand Garden Arena in Las Vegas for UFC 130. The main event was originally scheduled to be the third match between Frankie Edgar and Gray Maynard for the UFC Lightweight Championship. Unfortunately Edgar suffered broken ribs and Maynard suffered a knee injury. Now, the main event for UFC 130 will be a Light Heavyweight bout between Quinton Jackson and Matt Hamill, from season 3 of The Ultimate Fighter. There are no title fights in UFC 130, but UFC President Dana White has put together some interesting bouts in what should be another exciting night of MMA action. Let’s take a look at the matchups for UFC 130 Jackson vs Hamill. 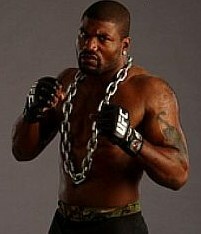 Quinton Jackson was a wrestler in high school, and also wrestled for a while at the junior college level. Where Jackson earned his reputation, however, was when he entered the Pride Fighting Championship (PFC) league in Japan in 2001. Although he lost his first bout, after going 10-1 in smaller MMA fights in the states, executives at PFC were impressed with his abilities. He continued to fight in the PFC through 2006, and then signed with the World Fighting Alliance. Zuffa, the parent company of The UFC, acquired the assets of the World Fighting Alliance, which started Jackson’s UFC career. Jackson is trying to get back into Light Heavyweight title contention after losing the title to Forest Griffin back in 2008. Jackson is very strong, and packs a powerful punch. He has won 3 of his last 4 fights, and never backs down from the toughest competition. His favorite technique is the “Power Slam”, in which he body slams his opponent so hard it can knock them out. He mainly likes to stand and throw punches, even though that sometimes gets him into trouble since he forgets about his defense. He is quick for his size, but sometimes can be lazy in the octagon, and his striking defense could be better. His takedown defense is pretty good, but sometimes he will gas late in fights. He has retired once from fighting, and with a budding acting career and other interests, you wonder how serious he currently takes his MMA career. I guess that we will find out soon enough. Look for Jackson to try and take Hamill out early with a big blow. Matt Hamill got into MMA late in the game, at around 29 years old. Deaf since birth, his step father was a high school wrestling coach and introduced him to the sport of wrestling. Hamill became a three-time NCAA Division III National Champion. It wasn’t until several years after college that Hamill started training in MMA. He had been training only 6 months before he was invited to season 3 of The Ultimate Fighter in 2006. He made enough of an impression with Dana White that although he did not win The Ultimate Fighter, he has been in the UFC ever since. Hamill has won his last 5 fights, and is looking to step up and be a contender for the Light Heavyweight title. This fight with Jackson is exactly what he has been looking for. Hamill is a wrestler first, although he is surprisingly effective with his punching, and he also has heavy hands like Jackson. He will be looking to take Jackson to the ground, keep him there, and “break his will”. He says his favorite technique is the cobra choke, although I don’t think he has ever submitted anyone in a fight. His striking defense is also suspect, and sometimes he takes as many blows as he gives out. Hamill does have excellent takedown defense. This fight could go the entire three rounds, unless one of them lands a solid knock out punch. 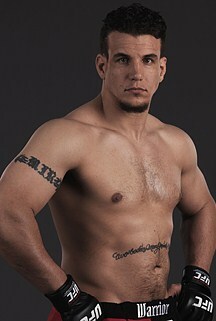 Frank Mir has been fighting in the UFC since the age of 22, and has held the UFC Heavyweight Title twice. He is looking for his third opportunity at getting a title shot by taking on Roy Nelson. Mir was a state champion wrestler in high school, and was brought up in martial arts because his father owned a martial arts school. Mir is a student of MMA, and holds a black belt in Brazilian Jiu-Jitsu and Kempo Karate. He is surprising agile for a heavyweight, but sometimes will not come into a fight in top physical condition. Mir is a submission expert, and has won 8 of 14 fights by way of submission. Surprisingly, he has only won a couple fights by KO/TKO, and one of them was by using his knees. Where Mir gets into trouble is his defense, which is unexpected given his background and expertise in wrestling and MMA. All 5 of his losses have come by way of KO/TKO due to punches. He doesn’t seem to weather the storm very well, and both his defense against the strike and against the takedown are horrible. Only two fights in his entire MMA career have gone the distance, and I don’t see this fight making it that far. 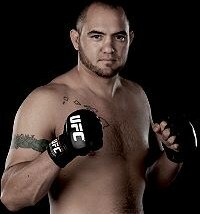 if Mir wants to be heavyweight champion again, he better have trained hard for this fight, and improved on his defense. Do not let his appearance fool you. 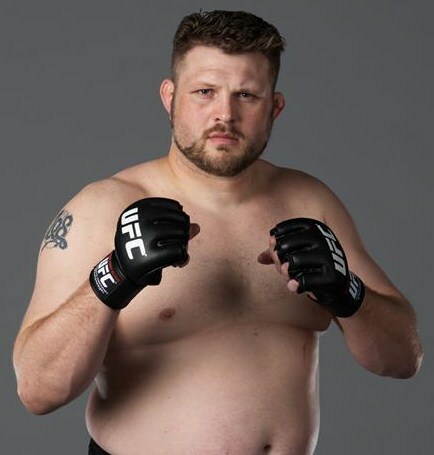 Roy Nelson is an athlete, although he looks like all he does is sit on the couch and drink all day. Nelson wrestled, and played football and baseball in high school. He is also experienced in Shaolin Kung Fu, is a Black Belt in Roi Kan Do and Brazilian Jiu-Jitsu, and has trained with some of the world’s best MMA fighters. Nelson started fighting to pay his bills, and won his first 6 fights, 4 by way of submission. After losing a decision in 2006, 8 of his next 9 wins came by way of KO/TKO. Nelson mainly likes to stand toe to toe, throw down, and says his favorite technique is the face punch. He has been very effective with his boxing skills. He doesn’t worry too much about his defense because he is usually on the attack. Nelson does have a very strong chin, and has not been taken down too often. After all, it’s not easy to throw a 265 pound man to the ground. Nelson is looking to make a statement in this fight in hopes of getting his title shot soon. Like I said before, I see this fight ending early. Stefan Struve is the tallest fighter in the UFC at 6’11”. He turned pro at 17, and just turned 23 in February. He is skilled in kickboxing and Brazilian Jiu-Jitsu, and has won 5 of his last 6 UFC fights. Although he is a big man, he doesn’t mind the ground game, and his favorite technique is any kind of choke. Seven of his last ten wins have been by way of submission, but he can also knock you out with his fists, and has good leg kicks. His main weakness is his takedown defense, and his last two losses were KO/TKO by way of punches. Struve has the heart of a champion and will not give up easily. A relative newcomer to the sport, Travis Browne has already had great success. He began his MMA career in 2009, and joined the UFC in 2010 after winning 9 straight fights. He is a boxer, as well as a purple belt in Brazilian Jiu-Jitsu. Browne comes right after his opponents, and 8 of his 10 wins have been by KO/TKO, with 5 of them lasting less than a minute. His fists are no joke, yet he is well-rounded in the ground game as well. He likes the arm triangle, and is not afraid to use his knees. Browne has never been taken down, but because so many of his fights have ended early, it is hard to gauge just how good his defense really is. I believe this fight against Struve may allow us to find out, if Struve can make it out of the first round. Thiago Alves has spent almost half his life fighting professionally. He started when he was 15, and is now 27 years old. He is definitely one of the best welterweight fighters in the UFC, and had a shot at the welterweight title back in 2009. He has won 8 of his last 10 fights, 7 by KO/TKO. He is looking for another title shot soon. Alves is an aggressive fighter who likes to use his fists, leg kicks, and knees. His favorite grappling technique is the kimura, and his favorite striking technique is the jab, which helps set everything else up for him. He is trained in Muay Thai, and is a black belt in Brazilian Jiu-Jitsu. Alves is also successful taking his opponents down as well, and can work the ground and pound. He has decent striking and takedown defense. He has struggled to make weight in several fights, leading UFC President Dana White to state that Alves may be moving up to middleweight soon. Rick story is looking to make a name for himself. He has won his last 11 of 12 fights, and most recently has won 5 in a row. Story wants to be recognized as a top level fighter, and called for this fight against Alves. Story wrestled in high school and college, and began dabbling in MMA his sophomore year in college. After graduating college, he began to take his MMA career seriously and has moved up the rankings quickly. He is still only 26 years young, and already a well-rounded fighter. He can beat you with submissions, takedowns, and strikes (KO/TKO’s). His favorite striking technique is a hook followed by a cross. He always comes into a fight in top condition, and is also a fierce competitor. He has good striking defense, and his takedown defense isn’t bad. This fight will truly determine if he belongs in the top tier of the welterweight class. Brian Stann is truly an All American. He attended the Naval Academy, where he played linebacker for the Midshipmen. After graduating, he became a decorated Captain in the Marines. Stann began MMA fighting while still in the Marines, and when he got out in 2008, started fighting full-time. He became the WEC Light Heavyweight Champion that year, and joined the UFC in 2009 when the WEC merged with the UFC. Stann has dropped down to middleweight, and is currently 2-0 in that class. He is very strong at this weight, and is an outstanding athlete. He is a good kickboxer, skilled in the Marine Corps Martial Arts Program (MCMAP), and packs a solid punch. Seven of his ten wins have come by way of KO/TKO. He always comes into a fight both physically and mentally prepared for anything, is constantly improving his talents, and is very tough to beat. It’s been a long time coming, but Jorge Santiago is getting his second chance in the UFC. He first appeared in the UFC in 2006, won his first fight, then lost his last two. He left the UFC but continued to fight, amassing an 11-1 record, and avenging the only loss he has had in over four years. Santiago is also very athletic, is skilled in Muay Thai, has a black belt in Brazilian Jiu-Jitsu, has world class experience, and is very well-rounded. He can submit you a multiple of ways, and can knock you out with his fists, leg kicks, or knees. He has nine wins by KO/TKO, and twelve by submission, and his favorite technique is the right hand. Santiago is hoping that this fight will put him back in contention as one of the top middleweight fighters in the UFC. ~ by Troy Erickson Realtor on May 27, 2011.